A lie detector test measures physical and emotional responses to approximately 10 predetermined questions, according to the Global Polygraph Network. Drugs may affect the test but usually with an inconclusive result. Generally, drugs that affect the nervous system may alter the test's measured responses. Suspicion of drug use requires screening in the pretest phase of the polygraph and possible drug testing before administering a polygraph. Medications that alter blood pressure and heart rate may effect polygraph results. Blood pressure medications relax, or dilate, blood vessels which lowers pressure and may lower heart rate. The polygraph test detects subtle changes in pressure and heart rate in response to questions, according to Illinois Lie Detector Testing Service. The lowered pressure and heart rate may lead to inconclusive results requiring further screening and testing. Medications that decrease anxiety can also effect heart rate and breathing. The Global Polygraph Network indicates the effect of altering emotional responses with medication may not equate with a truthful answer rather than a deceptive one. Medications prescribed for an individual may be found during the pre-screening phase or pretest interview and adjustments made by the technician. Illegally obtained drugs such as narcotics, marijuana, heroin, cocaine and street drugs can alter results but it may be contrary to passing the test. Illegal drugs can lower heart rate, breathing rate and blood pressure and raise suspicion with the technician during the pretest interview, as indicated by the Illinois Lie Detector Testing Service. Further screening may be required with possible exclusion from the test. Other medication categories may also affect the polygraph including stimulants such as caffeine and nicotine or over-the-counter medications such as sleeping aids and cough medications. But the improved technology of the polygraph test with its ability to discern subtle changes in response to questions can uncover pre-medication. 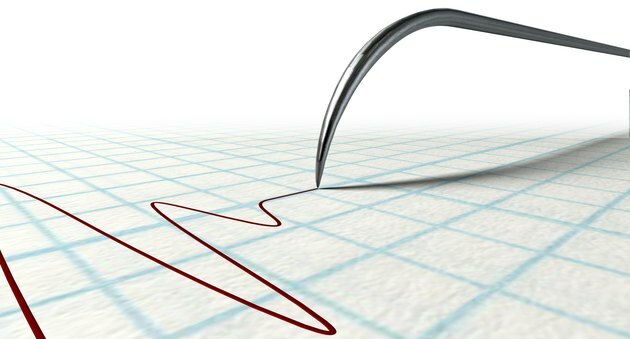 Some psychiatric disorders, such as psychopaths or sociopaths, may be excluded from polygraphs as the disorders reflect individuals who can control their emotional responses and do not exhibit a conscience, according to FindLaw.com. The Massachusetts Institute of Technology is researching improved means of testing including brain scans and magnetic resonance imaging.